As we mentioned last week, this time we'll be looking into security. Apple's own Find My iPhone tech is not being used to the best of it's ability, so here are three clever hacks that you can find in Cydia. The concept is simple: If your passcode is incorrect, the Facetime camera will snap a photo. Personally, I've only caught my family and friends trying to guess my password. However, with the ability to email the photos to yourself and even iClouds own photo sharing, you could potentially catch a lot more than your pals. Watch out though, it's pretty good at getting delirious photos of you in the morning. Cylay is Find My iPhone on steroids. I won't drone about it's slew of features, instead here's their own summary of what it can do. The most notable for me is that you can remotely set your phone to prevent a thief from shutting it down, the first thing he or she will think to do when they nab your iPhone. Find My iPhone does win on one feature though - the price. Cylay will set you back $20 a year. The cheaper alternative is iLocalis, starting about $8. Personally I've had issues with this though so I can't recommend it - however it is a much loved app by a lot of people. You might use 'Manage wireless networks' on a PC or Keychain on a Mac, but we all have a need to grab a known wifi password quickly. With this add on, we can add this same feature to the iPhone! It's dead handy when a friend is asking for your stupidly complicated wifi password. 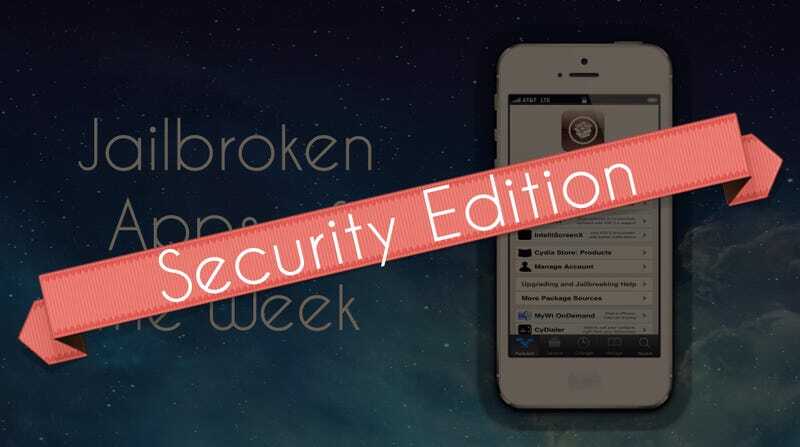 I hope that you enjoy these tweaks and that they save you from losing your phone - and your wifi passwords!